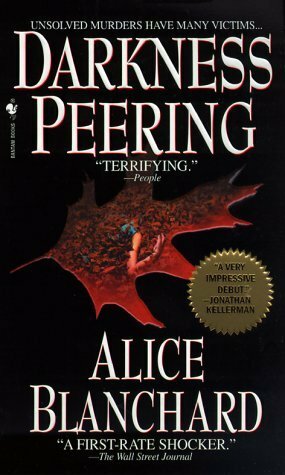 Alice Blanchard‘s 1999 crime novel, Darkness Peering, is one of the most promising debuts ever — a mind-bending psychological thriller set in rural Maine (classic Stephen King country). Detective Rachel Storrow is still haunted by an 18-year-old unsolved murder that happened when she was a child, and a recent disappearance has brought that case back to the forefront. For Storrow, the killer might be closer than she thinks. Featuring a gripping and poetic opening chapter, Blanchard takes hold of the reader’s throat and never lets go. It’s also a surprisingly literary work. Underlying the horror is a tale of family drama, small-town suspicion and the secrets we bury with the dead. Blanchard takes on similar themes in later books, like The Breathtaker and Life Sentences. Her short-story collection, The Stuntman’s Daughter, won the Katherine Anne Porter Prize in 1996. But of all her works, my favorite remains Darkness Peering. This book is a perfect match for a stormy October night.